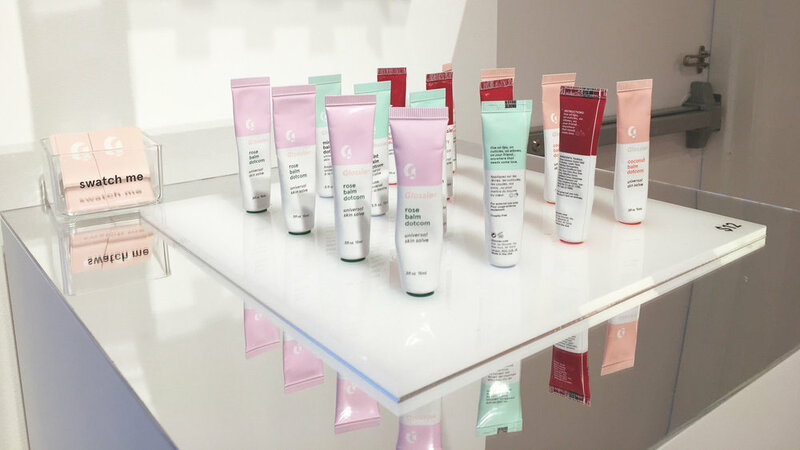 Just days before I left for New York, the Beauty Gods gave me a very nice early christmas present–the opening of Glossier's NYC Showroom. Being a lover of all things pink and minimalist aesthetics, Glossier is like a God-sent brand to me but its been hell trying to get my hands on their products. What's even better was that the showroom is about a 3-minute walk from the hotel I was staying at. If that isn't a sign, I don't know what is! The showroom was located in a "penthouse" just above their HQ in Lafayette St (which the New Yorkers pronounce lafiyat, which I found hilarious). It was pretty small, but enough room to roam around and try out different products. All things that are on display are testers that you can try out. I had taken the liberty of trying out every single thing in the room, trying to hold myself back from hoarding the entire collection. They had a sink area too where you can try out their different skincare products. 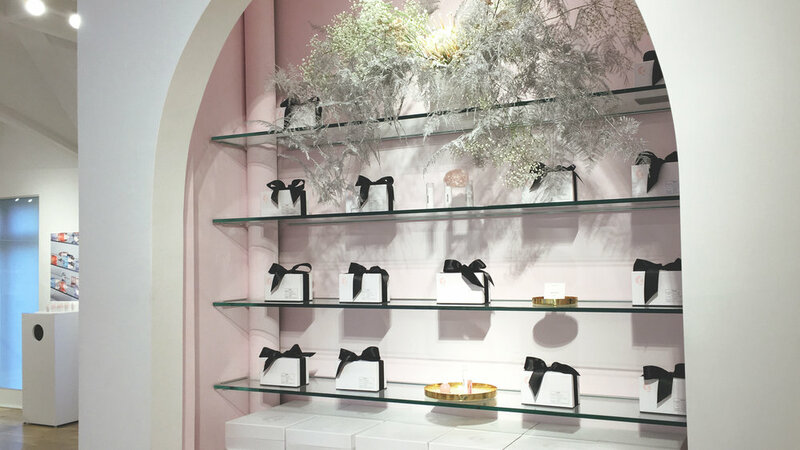 The interior is beautiful with lots of pink and white–very clean and minimal. It is also filled with Glossier's famous photography which I personally love. I wonder if its the same guy who does Into The Gloss' photoshoots. The girls who worked there wore pink jumpsuits and clean white sneakers, which was really cool and different from your typical all-black makeup artist-esque uniforms. They would greet you and help you out with each product. To buy something, you'll have a form specifically for you and you tell the girls which products you want and they'll fill out the form for you. I'm not sure if you can fill it out yourself–I assume you could, especially when it's busy. You could also ask them to disinfect whatever product you want to try. Mucho importante. I walked away with the Perfecting Skin Tint in Medium, Haloscope in Quartz, Generation G Lipstick in Crush, Boy Brow in Brown, and Flavoured Balm Dot Com in Rose. I will do a review on them shortly when I find somewhere to shoot here in London or later on back in Newcastle. They also gave me a nice clear pink pouch with a very tempting bubble wrap interior inlay, some Glossier stickers I've yet stuck on my products, and the winter 16/17 poster. I walked out a happy beauty-obsessed girl.